But then the doubt rolled in – along with the criticism from women’s activists around the world. See, I still struggle to see Ivanka Trump as a fearless defender of women, in Saudi Arabia or anywhere else for that matter. She often feels like a big, neon sign screaming FEMINISM! I react in the same way I would if I met someone wearing FEMINISM on their sleeve, or their designer T-shirt – reeeally? Prove it. If you step back and chase the anti-Ivanka feeling down to source, it seems to be pretty closely connected to the fact that women are her market, not her life’s cause. In other words, it's not just about asking, "What is Ivanka Trump doing for women? ", but also, "What are women doing for Ivanka Trump?" Loads. They’re the audience for her books, Women Who Work and The Trump Card. They’re the target demographic for her fashion and lifestyle brand. They gave her a calling and a way in to Donald Trump’s administration. You can’t deny that in return, Ivanka aligns herself with the issues that matter to women. Having the daughter (and official assistant) of the president in your corner seems like good news for women in the US – especially given her dad’s record on women. She’s pretty vocal in support of planned parenthood, which gives women access to family planning and abortion, and paid parental leave, which guarantees new parents paid time off. But in terms of actually getting the administration to be more feminist in their policies, she's achieving mixed results. Her father’s budget proposal, released hot on the heels of the Saudi trip, includes provisions for six weeks’ paid parental leave – a move that, if it comes through, would end the US’s run as the only developed country that doesn’t give new parents paid time off. Her support of planned parenthood hasn't been quite so successful – the budget also proposes cutting funding for the service completely. In Saudi Arabia, as well as hosting her roundtable, Ivanka again battled for the female cause. 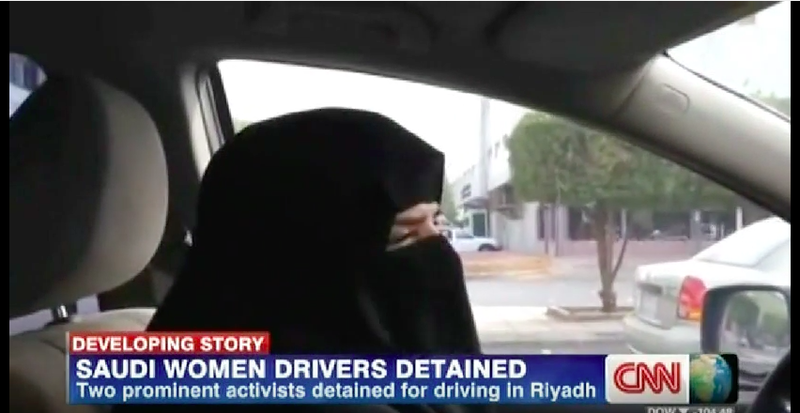 But she didn't highlight the basic rights many Saudi women are denied, like not being able to drive, or travel unchaperoned. She did help secure $100 million from Saudi Arabia for a World Bank’s initiative for female entrepreneurship – the global women's entrepreneurship fund – a measure she encouraged. $100 million is an impressive sum. But in Saudi Arabia, it feels a lot like jumping the gun. It's a country where women are pretty limited; where they’re segregated from men and, the biggest obstacle, live under the guardianship of a male relative who may or may not grant them access to those hard-negotiated World Bank funds. They can only benefit from any entrepreneurship fund if their husband or father allows them to. Ivanka’s right – there has been some progress. Earlier this month, after Saudi Arabia was controversially appointed to the UN Commission on the Status of Women, King Salman issued a royal decree appearing to relax the rules around 'guardianship', giving women the right to access public services, like healthcare and education, without the OK of a male family member. But it looks like nothing much has changed yet. In December 2015, women voted in local elections for the first time. Some stood and won seats and more than half of graduates are women, and their literacy rates sit at 91%. But – and there’s a very big but – in Saudi Arabia, women make up less than 15% of the workforce in a population of around 20 million people. The relatively high level of education isn’t matched by a pretty important economic measure of success – being able to work and be financially independent. Women are skilled up and ready to go. But without being given the ability to make their own choices without male approval, their talents won’t translate. Best woman for the job? When it comes to Ivanka’s efforts in Saudi Arabia, there is as she says, “still a lot of work to be done." She travelled there and pushed the economic agenda that she was weaned on – business; deals; funding – more deals. But she didn’t do enough to call out the things that actually stop these things being a reality for her audience. If she really wants to change things abroad as well as at home, she needs to take a risk; get her hands dirty and go off Brand Ivanka. She should champion local voices who get to the heart of the issue, rather than just her own. Voices that belong to women like Aziza al-Yousef, who was arrested for driving, and tried to deliver a petition signed by 14,000 women to abolish (not relax) male guardianship, to her King. When that didn’t work, she dropped him a line in the mail. And now she waits. In a country where resistance means so much more than a hashtag; and where being a champion of women requires a lot of guts.